In the management of the project the concept of a Key Issues Matrix played an important role in focussing attention on the right issues and addressing them with appropriate management tools. On the horizontal axis are placed the management tools addressing the key issues, such as communication, continuity of staff, delegation procedures and lessons from other projects. On the vertical axis are placed the key issues put forward by the project managers. Then the question was asked: what can each management tool contribute to each of the key issues? The answers to this question provided the courses of action that make up the matrix. In retrospect it can be noted that the Key Issues Matrix enabled to match PI best practices for subprojects with PII best practices related to complex aspects of the project as a whole. The project manager explained the role of the Key Issues Matrix as follows: at the beginning of the project a two-day objectives meeting was held with the responsible managers to identify the key issues deserving special management attention. It was called an 'objectives meeting', because the shareholders' long-term objectives, not necessarily the contract objectives, played a major role. Stakeholders who could not be present in person, for instance the business manager of Shell or Mitsubishi, were represented by someone playing that role, i.e. people who could be trusted to know the views of the real stakeholders sufficiently well. At first, any issue could be tabled. Next, all issues were discussed to establish if they were special to this case or normal for such projects. For instance, the issue 'planning & scheduling' is always a problem in any construction project and was, therefore, removed from the list. 1. Interlinkage: the five projects in the second petrochemical complex, with five different shareholders (Sumitomo, Shell, Phillips Petroleum, Mitsubishi and Denka) were interconnected and also connected to the first petrochemical complex. Connectedness of a multitude of parties involved with different cultural backgrounds, different interests, etc. Linkage to parties around us, to our neighbours on the site, and to Bukom. 2. Joint venture: a two bosses situation, fundamentally different from a Shell-only situation. For Mitsubishi the joint-venture was the entry into a new market (of polyols). 3. Technology: there is always a need to apply advanced technology, but also the experience that new technology invariably seems to generate disasters. For instance, an effluent water treatment problem surfaced that could only be solved by applying new technology. Nurture informal mutual aid e.g. info to be handed by SCMD only. Project progress report by CLX. 4. A new company in green field: the organisation for which a company name, logo and culture still had to be established, on a new site without any infrastructure and which could only be reached by ship. Historically, the largest contractor's claims are soil-related. So a green site represented a large risk of contractor's claims. We then asked ourselves: what can each management tool contribute to each of the four key issues? The answers to this question provides the courses of action that make up the matrix. But first I have to explain these management tools. Mutual aid means that if something can be resolved for $ 1 by one partner, whereas it would cost the other one $ 10, the former will solve it, regardless which one of the two is the problem owner in terms of guilt or responsibility. Let me give an example of mutual aid: the soil problem mentioned before. We had a soil investigation report which had been made in the standard manner. Far insufficient to avoid contractor's claims later on. The soil investigation had to be translated into a foundation advice. But I had no budget for that. So I went to Chiyoda and asked if they would be prepared to pay it as an aid to Shell and myself in the realm of our relationship. They did so! They actually paid the foundation advice, thereby reducing their own chances for successful claims. I promised them that they would be refunded in the case the project would be abandoned. This solution was only possible because we had agreed on mutual aid. Of course, we have also helped them (Chiyoda) in situations where we were in a position to do so, for instance in relations with Singapore authorities. Communication is essential to build trust. Both formal and informal communication have to be managed. One without the other is not enough. Build on Shell Singapore Bukom. I am convinced that we would have failed without the support from Bukom. But how to get it? The prevailing attitude was: this is a chemical project that has nothing to do with refinery. To overcome this prejudice, I used the financial argument by pointing out that the project had been financed by cash flow from Bukom. Without Bukom there would not have been a project at all. On this argument the involvement of Bukom was accepted. Bukom had too many people - since staff reductions were ongoing because of efficiency improvements and outsourcing - so a number of them were transferred to our project. In the realm of our mutual aid agreement with Bukom, we could require that these people were the best and not the people they wanted to get rid of anyway. This is exceptional. Why did they comply with our request? It was seen as a Singapore project, - in which the EDB participated - not as a separate chemical project. Here you see the link with the shareholders. It also helped, of course, that I had worked before in Bukom. I knew these people. The subcontractors really made an effort, because they saw it as a Shell project, not as something directed from Holland. In 1992, during the preparatory phase of determining the scope when I was in Singapore once a month, I had a dinner with Chiyoda, the two most important subcontractors and some Bukom executives. Just a dinner. I told them that when this project were to get the green light, they would be invited by everyone, but that I wanted to agree with them that they would work for us. Unspoken, they did as I expected. Without their Bukom clients amongst them at the table this would not have been possible. The message was: you belong to us and we need you. We expect you to help us, like we would help you when necessary. This is the Chinese way of working. At the end of the project one of those subcontractors had a dispute with Chiyoda, who understandably kept their subcontractors under tight financial control. Reference to our objectives meetings and to the importance of long-term relationships resolved the issue: the subcontractor was paid. Without the Bukom-relationship this intervention would not have been possible. 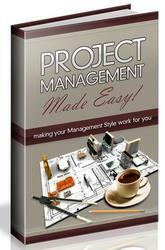 The next of the management tools - SICM (i.e. Shell International, The Hague) support - was expected to be problematic in the sense that for this downstream project little support capacity would be available because of a number of huge upstream projects: Perplus ($ 2 billion), China - Nan Hai - also some $ 3 billion, grassroots Rayong refinery project in Thailand, Oman LNG in preparation, Nigeria LNG in preparation. The solution was again mutual aid: I accepted some under-qualified people, but the corporate HRM manager promised me extra support when things would really go sour as a result of it. An example is utilities. When it turned out that the design for the cooling water system was poor - it could not even be started up - I got all the support for redesign and even implementation support to Chiyoda, who was responsible for design and construction. Continuity of staff was also a management tool that needed special attention. Training of operators was a major problem. Without any experience, fresh from school, Singapore youngsters had to be trained to become reliable operators. We built, at the start of the project, an expensive simulator to enable them to learn almost everything on the simulator and we tried to get the most experienced instructors possible, who would stay with the project after start-up. Instrumentation is another example of the staffing issue. Analysis of some five construction projects (lessons) revealed commissioning problems due to lack of qualified instrument staff. I had to wait for half a year to get the person I wanted (after I had turned down three candidates). When he finally came and worked marvellously with his counterpart from Bukom, the issue of instrumentation was never critical anymore. As a result of my approach of being so selective, my team had about half the size of what was usual in Shell's large projects, as my chief in The Hague once noticed. I replied that on a trawler, a coaster or a supply boat the working atmosphere tends to be fine, whereas on a big tanker it is always a problem. When people have just a bit too much work, they have no time to quarrel and to criticise each other. Having too much time available for the work to be done is unhealthy and poison to the working climate. I only wanted people in the team with end responsibility. They could get help from whoever they would like, but they remained ultimately responsible. Within the team I tried to get balance between people from Bukom, Pernis, Moerdijk, etc. in view of links with other experts they would have access to. Continuity of staff is, of course, always a problem. In addition to having future users in our team, we took some special measures to ensure a smooth transition from construction to operation. For instance, we had a common filing system. Usually, the construction team destroys its files after commissioning. We did not. Even the administrator of the files was transferred to operations after commissioning. This facilitated close-out considerably. When things go wrong after commissioning, the usual thing to do is to blame the contractor. But when everything is well documented, most things can be resolved without blaming anyone. Our files were used until the first shutdown. This was unusual, the construction team always used to dump their files after commissioning without after-care. Mitsubishi secondees proved to be very useful as they were part of the Japanese connection. They could work well with Sumitomo, our neighbour on the site, and with main contractor Chiyoda. They were very knowledgeable. I insisted that they would do the auditing of technology, not Shell technologists who could easily be perceived as biased. Mitsubishi appointed a very experienced former plant manager who did a splendid job. He became our internal challenger, auditor and ad hoc problem solver. He liked the job because it provided him with new knowledge and he felt part of the success. Secondees are also important to keep shareholders satisfied. For this reason I wanted a financial controller from Mitsubishi. The next two management tools, clear flexible roles in team and delegation procedures, are helpful in dividing the work to be done without losing sight of who should do what and who is responsible. Optimum use of the small number of team members achieved flexibility in roles, clear definitions of end responsibilities and continuity in our team. Audits, constitute a useful management tool and are not at all a nuisance as is often the perception. I always wanted the best auditors possible and audits early rather than late. I see audits as opportunities to learn and to anticipate better on future problems. They are also important for shareholder relations. As explained before, I had to accept under-qualified people at several key positions. By having the audits done by the unit responsible for their assignments, recognition was given for the job done, taking into account these personnel limitations. Audits took place in various areas: civil works, rotat ing equipment, instrumentation, electrical; but also for safety and the project management by myself. I felt that my project management also had to be subjected to auditing. I wanted the best auditor available in order to learn as much as possible. This was the former Moerdijk plant manager, who was also a seasoned project manager. Together with an experienced project accountant, he investigated during three intensive days how Arjen and I had managed the project. An extremely useful learning experience not only for me, but also for the auditor himself. He used the audit to prepare himself and make a plan for the Oman LNG project of which he was the project manager and Chiyoda later became the main contractor. In view of that connection, Chiyoda was pleased having him as an auditor to whom they could show their performance. So, the audit was good for Chiyoda, good for the auditors, and good for me. A win-win situation created by a non-defensive attitude towards audits. I also insisted to have an audit on contract close-out, which had never been done so far. The best contract man within Shell came three months before commissioning to establish where the contract had loopholes that could still be closed before commissioning. I was so focussed on technical aspects and implementation that I could easily overlook important contractual issues. I told him that I saw him as my conscience in regard to contractual changes that had to be negotiated in this final stage. So, I used audits to get relevant expertise available elsewhere into the project. This is why a good audit plan is important, if executed by the right auditors, at the right time, with the right scope. The same holds for lessons learned, not only from Shell projects, but also from projects of Sumitomo and other Japanese projects. These projects are factual and can be referred to using the results of the objectives meeting to establish what is relevant to our current project. 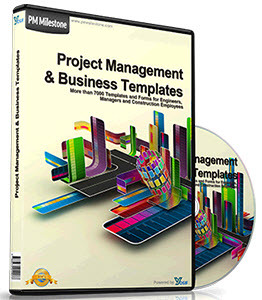 It can provide - free of charge - new effective approaches and concepts that are complementary to conventional project management practices. be discussible, no hidden agendas. • Respect your external or internal customer. • Be selective in using your chief as a resource. • Do not pass the buck. • If relevance is not clear: in the waste basket! • Accept decisions made wholeheartedly (a Dutch weakness difficult to monitor). • Finish a job completely, to avoid recycling of problems. • Striving for excellence in both small and large matters gives satisfaction. is becoming an unsolvable problem. The requirement is 100 ppm COD affluent water. To achieve that, we get an enormous amount of waste we can't get rid of. I don't dare to continue, we have to stop here.' In the realm of our personal mutual aid agreement, I offered to solve this problem. The effluent water treatment was removed from the scope of Chiyoda. So Chiyoda could move on and was instructed to do so. A task force was appointed, chaired by Arjen, to cope with the problem. New technologies were investigated and finally a satisfactory solution was found. The new technology applied for this problem was freezing to get the pure water separated. The pure water coming free could be re-used in the process, thereby reducing the water consumption, which was welcome due to Singapore being water limited. Mind your client means that you show respect for the interests of both your external and internal clients. That respect should prevail in the entire organisation and will enhance mutual aid. Relieve your chief. As manager of such a big project I am inevitably overloaded. People reporting to me should never waste my time. This is well understood in the Singapore culture. One of my people from Singapore had applied on his own initiative. He wanted to join because, as he put it, 'it felt good; in one way or the other, your undertakings seem to succeed'. I later entrusted him with the task of taking care of the relations with the Singapore authorities. He performed this delicate task with extremely selective use of his chief as a resource. Dig deep, report short. Have depth in your analysis, but report concisely. All issues open in our monthly report and all key issues addressed in our quarterly report. No surprises by hiding. Solve self. Don't pass the buck. This is related to relieve your chief. No upward delegation, nor creating bureaucracy and mistakes due to miscommunication and misunderstanding. File few. As much as possible in the waste basket to relieve your administrative filing. We initiated central filing to be used by all parties, the technologists, engineers, operators and support staff. Those files should not be contaminated by irrelevant data. Grind your grudge. Genuinely accept decisions. To accept decisions that are contrary to one's own view is particularly difficult for high performers with a strong character, and especially for Dutchmen. We are a country of Calvinistic ministers and professors. In the 17th century, we were traders, hence our understanding of the Chinese. We only became an industrial nation some time after Great Britain, Germany and USA did. As a result, we have an enormous middle class valuing individual views. This makes grind your grudge so difficult for Dutch people. deugd maken' (turn need into virtue). Complete in order not to repeat is related. If you take care of something, finish it completely. Not an answer for tomorrow, knowing that the problem will emerge again the day after tomorrow. Solve it in such a way that is also solved for the longer term. If you do that in dealing with your contractor, you will get less and less problems in the relationship with him. Having everything that is relevant on the table means that you need a radar screen. Listen to non-verbal messages in particular. Knowing everything is impossible. We designed the Smokeshed between Chiyoda and our project team. It served the informal exchange of information. Also the safety rounds were used to get feedback on hidden shortcomings. A job well done is fun. After a celebration on an achievement, see it as a collective success rewarded by the satisfaction of a job well done is fun. Don't ask for individual bonuses and the like. The above rules of conduct are reflected in our criteria for the selection of people for our team (Table 9.6). Listening is the absolutely number one criterion. Listening, especially to messages one cannot read and cannot hear (as the Chinese say: keep your eyes on things you cannot see). Then, convincing and inspiring. One must have an own opinion or conviction to be self-driven and achieve results. Next, learning ability. Extremely important to grind your grudge. Initiative and creativity are only valuable when combined with persistence. Otherwise initiative and creativity become a luxury without tangible results. In the selection of personnel, not only the candidate's capabilities - in terms of knowledge, skills and experience - are of importance, but also his or her ambitions and hobbies. Ambitions reveal the learning experiences the candidate would like to get from the job, and hobbies indicate where one may expect intrinsic motivation from the candidate. Let me give an example. The project required a highly qualified expert on rotating equipment at the beginning and at the end. In the intermediate period the expert would have to perform other tasks. The ideal candidate for the job was offered a number of possibilities for work in the intermediate period, but none of them appealed to him. Reluctant to turn him down for that reason, I asked him what he liked to do most. He replied: 'Taking photographs'. His hobby was photography, in which he had skills at a professional level. So we made him our photographer. He was authorised to take pictures where ever he wanted. He took some four thousand photographs. Our photo-archive was very useful in several respects. For instance, distortion of historical facts in defending claims was strongly discouraged by the availability of photographs on almost everything. So, the personal hobby of our rotating equipment expert considerably increased both his usefulness and his job satisfaction. Once the technical solution for the water treatment problem was available, it had to be re-introduced into the contract with Chiyoda. This was difficult for me, but was achieved in May 1994. The time to solve this problem was available due to the delay as a result of Phillips pulling out. Both issues - the pulling out and the unexpected water treatment problem - were dealt with in an integral way. In a management concept of fixed goals this would not have been possible. You have to accept floating goals. A solution using new technology had to be executed with great care and that requires extra time, which is never available in a fixed goals management concept. Experience in Shell has been that new technology is the number one cause of financial disasters. We could, therefore, never propose a scope which entailed a technology risk. In this water treatment issue, some new technology was unavoidable. Acceptance thereof was only possible by 1) a floating goals concept, and 2) people in the team capable of working with floating goals. This in particular is important to managing the four key issues. This has been my management philosophy as from 1990. I see my role, primarily as, first, identifying what is not 'normal', and second, making clear how to manage that. The number one rule, openness, everything on the table, has to be organised. In the construction phase - and even at commissioning - we had a weekly change meeting in which decisions were made on required modifications to the design. This speed of decision-making on changes was unusual. The decisiveness it generated enabled Chiyoda to proceed without any delays longer than a week. Every Friday our project engineer, our cost controller, Arjen and myself convened to cope with questions from whoever had a problem. We called these meetings Doctor's hours: every Friday from 9 to 10 o'clock. Often an on-the-spot inspection was made by the person to which we had delegated authority to decide on the matter. For instance, a pipe going through a foundation or a support. Always only one person was entrusted with the decision which, once taken, was accepted without further discussion. For instance, when we had a serious problem with polyols we asked ourselves: Who is our expert on this? Then, whatever that expert says will be done, since we know he would only act if convinced his superior and colleagues would support his line of action. Arjen as future operator and myself as project manager had full authority. We, in turn, empowered the people we trusted. In the execution, of course, procedures had to be respected; a round had to be made to properly administer the changes made, get drawings adapted, etc. Traceable and auditable procedures and records are, of course, indispensable. An essential responsibility of the highest ranked authority is: stop scope, if dead end. This is a most difficult thing to do since it involves acceptance of sunk cost, i.e. expenditure made in vain for something. You get warnings that things are going wrong on almost everything. So you need the ability to judge what is really going wrong, what is really unsolvable. You then have to stop, put a halt to it, as soon as you are sure. People are inclined to circumvent and postpone issues they cannot resolve. If you see a potential dead end on your radar screen, you have to act, for instance by putting a special team on the issue (such as was done with the effluent water problem). Three completely different cultures (see Table 9.3), constituting both a problem and an opportunity. The Japanese tell you what you want to hear, so they actually tell you nothing. Mutual aid then does not work. There was only one Japanese executive I could talk to about this: Chiyoda's project manager. All others saw their Chiyoda boss as their only boss. So, if I wanted to get something done I had to involve their Chiyoda boss. For instance the issue of safety. When I made my rounds on the site and made direct remarks about safety violations that I noticed, nothing happened. The Chiyoda construction manager had been bypassed, which is not acceptable in the Japanese culture. In a safety objective meeting he proposed that I would tell him everything I wanted to be acted upon. He promised that he would then personally make sure action was taken the very same day. That worked perfectly. So, for years, we saw each other every day at one o'clock and he made sure that action was taken that same afternoon. In the Dutch culture it is quite acceptable to address people directly on safety matters, tell them to put on their safety glasses, etc. In the Japanese culture that is totally unacceptable. I often used Mitsubishi executives in the Japanese connection to understand those sensitivities. All three connections had to be managed taking into account the considerable cultural differences. The Dutch, Japanese and Singaporean nationalities with their inherent cultures were by no means the only ones. Indian, Malay and Chinese work force brought along that - in line with their respective religions - we had to pay due attention to consecration ceremonies. In our change management, the rule was: trust operators! We had some seasoned operators who were so serious that they would not sleep for a night if a suggestion from them was rejected. You could blindly rely on their recommendations. Technologists, by contrast, had to be treated with scepticism. They were inclined to be creative and reinvent the wheel. As a rule, we asked them twice to check their homework and more often than not the proposed changes turned out to be unnecessary. For monitoring cultural aspects, the coffee machine was quite useful. I had my room in front of the coffee machine. Door open, I could see everyone coming for a cup of coffee. I saw them and they saw me; also at an early hour, for I am always early. In this way, I could keep an eye on things that otherwise could not have been seen. The day chiefs only come there early in the morning. If they wanted to draw my attention to something, they dropped in and briefly told me what they wanted me to know. These interests vary from person to person and change over time. Sometimes you can identify a problem at an early stage, but not prevent it. In our first objectives meeting we observed that Chiyoda's construction manager was not really on board and was only paying lip service to the mutual-aid principle. Ultimately, this damaged Chiyoda particularly. He optimised on cost and opted for 2D piping computer software, so the 3D aspects had to dealt with manually. The time schedule was pretty relaxed, so this was not impossible. I did not demand 3D for I would then also get the invoice for it. I had to give the contractor the freedom to keep his cost price as low as possible. As could be expected, a lot of problems arose on site as a result of the manual 3D engineering. These problems were solved by the excellent subcontractors working for us, but nevertheless caused a delay of three months. The Chiyoda construction manager had informed his boss that no liquidated damages were to be expected for this. Ultimately, the liquidated damages had to be paid by Chiyoda as the decision on the 3D engineering of the piping had been their own choice exclusively. The incident resulted in a (temporary) demotion of Chiyoda's board member who had trusted the construction manager too much, and did not empower Chiyoda's project manager enough. Part of the delay was recaptured by a creative measure, which enabled welding to be done intermittently with transport of inflammable liquids. Any mixture of the two would, of course, be disastrous, so the quality control on keeping these activities separated had to be absolutely watertight. Both Chiyoda's construction manager and his colleague, the project manager, cooperated fully in this phase. Normally a sequential order is followed of mechanical completion, construction and commissioning. During three months we had overlaps between them, allowing us to catch up two months on the schedule. Permits to weld were given by Arjen to a task force including the most senior Japanese manager on site with some twenty years experience. We made him quality manager having authority over everything. He would personally make sure that the safety rules on this matter were lived up to. He had his desk in the most critical area, in the full tropical sun, a hardship he accepted knowing it was necessary to gain those two months. The case of 2D versus 3D piping software illustrates that separation of process from object, as advocated by some writers on project management, is absolutely impossible. The two are always closely intertwined. You can only come to good solutions - to synthesis - by really understanding, by having the matter explained without avoiding complexities. In a sense, it is a pleasure for me if something goes wrong, because it justifies that I study the matter in depth. When I ask technical questions, the answer is sometimes: 'That is too much technical detail for a director.' My reaction then is: 'Why? How can I come to a sound judgement without a certain depth of investigation?' The solution always comes from combining a good explanation of what the problem is about, with your own knowledge and experience. Separation of process from object, therefore, is simply impossible. Reflection on one's own strengths and weaknesses as well as those of the team is important to avoid unpleasant surprises as a result of a blind spot. It will help to be decisive when one can build on strengths and hold back when weaknesses are involved. Let me illustrate this point with an experience from the time I worked at Bukom. The operations manager of the refinery got a phone call informing him of a collision that had occurred in the bay of Singapore. A 2 000 ton LNG tanker, coming from Bukom, had collided with a Russian freighter. The ship was making water through a large hole amidships. I offered to help with my expertise as a naval architect, which was gratefully accepted. From the drawings of the ship and the location of the damage, I concluded that the ship would not sink or capsize, provided no further cracking would occur. I could draw that conclusion based on my experience as the Dutch representative during more than five years on the board of the IMO (International Maritime Organisation). I had been involved in hundreds of calculations on damaged stability of LNG tankers. So, I was pretty sure that the ship could be kept afloat with the reported damage. When I arrived at the ship, tugboats were already on the spot to tow the ship to a shallow spot where she could be put aground. The charter was Shell, so I told our Shell man to take over the command, which he did. Next, we put watchmen at the critical bulkheads and used our own tugboats to keep the ship on stream. No more than just that, to prevent the structure from cracking by pulling too hard. Then the representative of the salvage company came to me and ordered the ship to be beached. Our conversation was brief. 'Are you saying the ship is not sinking?' 'Yes, that's what I am saying.' 'I'll sue you in court and your are going to prison.' He had already phoned to the port authorities that the ship had to be beached. At my request, our man who had taken over the command, forced him to leave. The ship was then saved without beaching. The damage was temporarily repaired by the salvage company with wood. Against unit rates, for there was no crisis situation anymore. When the Hongkong owner of the tanker later paid me a visit to thank me, the thought occurred to me that each bow he made represented about a million dollars. Of course, the good ending was also good for Shell's reputation in the area. Such incidents are not without risk. One has to be critical of oneself and to be aware of one's own limitations. For that reason, I have always insisted that my management was audited like everything else. In our team we identified individual strengths and weaknesses, so that we knew where team members were complementary and where we were vulnerable as a team because no one had the strengths required for the issue at hand. In project management, deadlines on milestones to be reached are crucial. Especially when tasks can only be performed sequentially. A deadline for completion is never met completely; there is always a list of outstanding items. What matters is if these outstanding items affect the subsequent tasks. We therefore always made it a joint matter between the two parties with sequential tasks. In the spirit of mutual aid we would take decisions earlier than strictly necessary, if that could improve the profit margin of the subcontractor. In choosing subcontractors we had agreed amongst us that we would ignore price differences below 5%. When it became difficult to choose in a particular case, someone proposed to award to the lowest bidder who was 2% cheaper. But I insisted that we would decide on other criteria. These policies, and others in the same spirit, facilitate managing milestones. Let us return to the Key Issues Matrix. In hindsight, we realised that we missed one very important issue: authorities, or rather permits issued by authorities. We had underestimated delays due to authorities. It is interesting to note that this key issue is actually ethics driven. In comparison to other Far Eastern countries, Singapore is unique in fighting corruption. For instance: Ministers are paid like captains of industry in order to remove any need to be corrupt. Such measures, combined with severe prison sentences for violation, made Singapore's anti-corruption policy exceptionally successful. Prior to our project, a number of serious accidents had occurred. A drilling platform had collided with a cable car because the tide had been miscalculated. A hotel had collapsed due to compromising with the quality of the concrete that was used. As a result of the investigations into those accidents, a whole network had been established of authorities issuing permits. Understandably, these authorities wished above all to preserve their image of being independent by taking their jobs of approving extremely serious, in other words: by being more Catholic than the Pope. As a result, we were faced with all kinds of unexpected delays in obtaining permits for things we had to build. Business ethics made any attempts for compromises to speed up counter-productive. Plans for buildings could often not be submitted in the required complete form when they included systems that were also used in the plant. Details on plant related systems were seldom available at such an early stage. If we would promise to add the lacking information later on, the application would be put at the bottom of the pile. We should have foreseen this situation. With the admission of a serious mistake from our part, we addressed ourselves to the Singapore Economic Board to get priority which was then indeed given to us. You have to be extremely selective with such interventions. You cannot bother the EDB more than once or twice. When we asked them for help, we emphasised that we had done everything we could to solve the problem ourselves. Two other issues we missed - although less critical - were bombs and thunderstorms. The site had been a firing range for the British Army, so bombs in the ground were to be expected. Nowadays, almost any site entails such a risk. A bomb was found, which made the whole site immediately suspect and was reason for Chiyoda to submit a claim. First, we tried to put the issue in a reasonable perspective. For instance, by pointing out that another bomb that was found had been put there by our neighbours. To get such relevant information you need your radar screen! Chiyoda demanded extensive soil investigations, but we only agreed to have them at one spot where chances of finding something were highest. The issue was resolved in the framework of mutual aid: we agreed to be responsible for any man-made objects that were to be encountered in the soil. So, we only paid for the removal of some scrap encountered, for no more bombs were found. We have had a fatality with a thunderstorm. In such a flat area any object would attract the lightning in the case of a thunderstorm. A pick-up truck was struck by lightning, killing a man in the back of the truck. After that incident we put up a mast to monitor approaching thunderstorms. Chiyoda's highest safety executive was given authority for thunderstorm alarm to ensure that within five minutes after the alarm everyone had moved to safe shelters, spread over the site. If we had consulted the meteorological institute in the area at an early stage, we would have known that the site was located in a critical area for thunderstorms. Of course, with hindsight one can always point to disasters that could have been prevented, but that is never an excuse for not anticipating where possible and paying appropriate attention to post-mortem analyses of comparable cases.